The Supreme Court of India has held (Chief Controlling Revenue Authority vs. Coastal Gujarat Power Ltd. & others) that a security trustee agreement entered into by a borrower with one banker acting as security trustee for a consortium of banks, can only be regarded as a set of distinct transactions with each banker forming the consortium and consequently stamp duty would have to be paid on each such individual and distinct transaction. In holding so, the Supreme Court set aside the judgment of the Gujarat High Court which had held that stamp duty is payable on instruments and not on transactions. 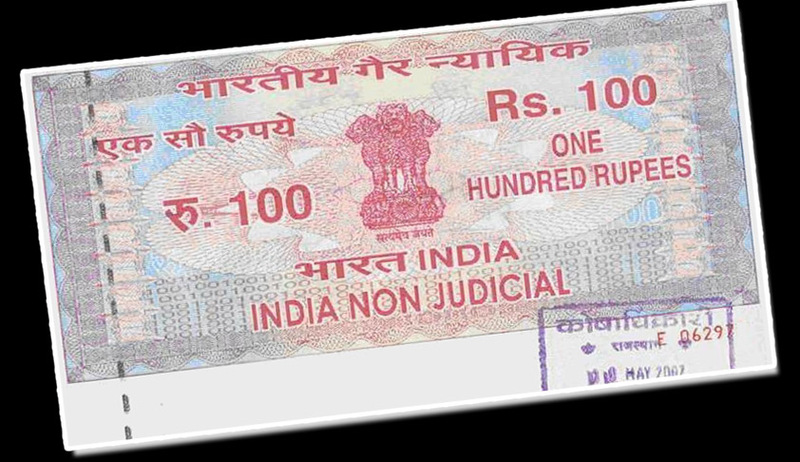 The High Court had held that the instrument executed does not involve either “distinct matters” or “distinct transactions” so as to attract Section 5 of the Gujarat Stamp Act. The facts discernible from the judgment are as follows: a Company named Coastal Gujarat Power Ltd secured assistance from few lenders for setting up an Ultra Mega Power Project in the area of Kutch-Bhuj. The lenders i.e. financial institutions, which were thirteen in number, formed a consortium as a trust and executed a security trustee agreement (STA) inter se appointing one banker, viz. the State Bank of India as the lead trustee, called the security trustee. The respondent executed an “Indenture of Mortgage for Delayed After Assets Deed’ with the State Bank of India, the said security trustee, mortgaging its assets as mentioned in the deed itself. The said document was presented for registration before the Sub-Registrar, Mudra, by paying stamp duty of Rs. 4,21,000/- and the deed was registered. According to the Revenue Authority which was appellant, the respondent-borrower was liable to pay a total of Rs. 54,62,000/- on the said deed and, hence, demanded the balance amount of Rs. 50,41,000/- from the respondent by issuing show cause notice dated 5.11.2009. The issue was forwarded for consideration of the Deputy Collector, Stamp Duty Valuation Organisation, Bhuj-Kutch under Section 33 of the Act. The respondent was given an opportunity of hearing and vide order dated April, 3, 2010, the Deputy Collector held that the respondent was liable to pay the deficit stamp duty with the amount of penalty of Rs.250/-. The High Court opined that the State of Gujarat is not entitled to recover any additional stamp duty based upon its perception of the legislative intendment behind Section 5 of the Act. The Court noted that stamp duty is payable on instruments and not on transactions. Therefore, merely because the intended effect was achieved by executing one single document as against different sets of documents, such fact would not enable the State authorities to justify the conclusion that the one single document falls under the purview of Section 5 of the Act. It was SBI alone which had the power to enforce the document against the respondent. The High Court further opined that there being only one instrument creating a mortgage by a borrower in favour of a security trustee, such relation between the borrower and security trustee is independent of the relationship between the borrower and the lending banks. The relationship between the borrower and the security trustee is that of a mortgagor and mortgagee. By taking aid of the provision of the Indian Trust Act and after creation of a different valid trust deed and making payment of stamp-duty thereon in accordance with law, the State Bank of India became the security trustee of the lending Banks and held the mortgage for and on behalf of those beneficiaries. Therefore, by the instrument in question, either fictionally or otherwise, no separate or distinct matters or transactions are created. Thus, the applicant is the mortgagor and the S.B.I., in the capacity of a trustee, is the mortgagee. The instrument does not involve either “distinct matters” or “distinct transactions” so as to attract Section 5 of the Act. The Court found from the document in question that the State Bank of India is the only mortgagee under the instrument and no rights in the mortgaged property had been created in favour of secured parties or any other persons. The counsel for the Revenue Authority advanced the contention that respondents had formed the consortium and had executed the present mortgage instead of several distinct instruments of mortgage with the sole purpose of evading Stamp Duty. The Authority further submitted that admittedly the respondents had availed financial assistance from 13 lenders for its project and consequently, the respondent was required to execute mortgage deed in favour of the 13 lenders. However, in order to avoid payment of Stamp Duty on each mortgage deed, the respondent got the lenders to form a consortium and appointed State Bank of India as security trustee. Thus, in substance, the mortgage deed between the SBI on behalf of the lenders and respondent is a combination of 13 mortgages dealing with the respondents and such lenders, hence, the respondent cannot be allowed to evade payment of stamp duty by forming a consortium. It was also submitted that the instrument in question relates to several distinct matters or distinct transactions inasmuch as the respondent borrower availed distinct loan from 13 different lenders, hence, the instrument falls under Section 5 of the Gujarat Stamp Act. It was further contended what has to be looked into for the purpose of stamp duty is the instrument, i.e., the Mortgage Deed, to see whether it dealt with distinct matters. The Mortgage Deed dealt with only one single matter, i.e., the mortgage of a single property with one mortgagee. Merely because there was beneficial interest for all the individual banks forming the consortium, this would not amount to distinct matters as per the ratio of the Benthall Case, since there were no distinct mortgages regarding distinct properties, but one common mortgage for one property. Hence, even assuming that the banks were seen to have an individual interest, there was in fact a commonality of such interest with all the other “secured lenders” and, therefore, the instrument did not deal with distinct matters. Negativing the contentions of the respondents and upholding those of the appellant, the Apex Court held that Section 5 deals only with the instrument which comprises more than one transaction and it is immaterial for the purpose whether those transactions are of the same category or of different categories. The Court held that from the deed of indenture executed in the case, it has to be regarded as 13 distinct transactions. The Court justified its finding thus: “It appears from the trustee document that altogether 13 banks lent money to the mortgagor, details of which have been described in the schedule and for the repayment of money, the borrower entered into separate loan agreements with 13 financial institutions. Had this borrower entered into a separate mortgage deed with these financial institutions in order to secure the loan there would have been a separate document for distinct transactions. On proper construction of this indenture of mortgage it can safely be regarded as 13 distinct transactions which falls under Section 5 of the Act.